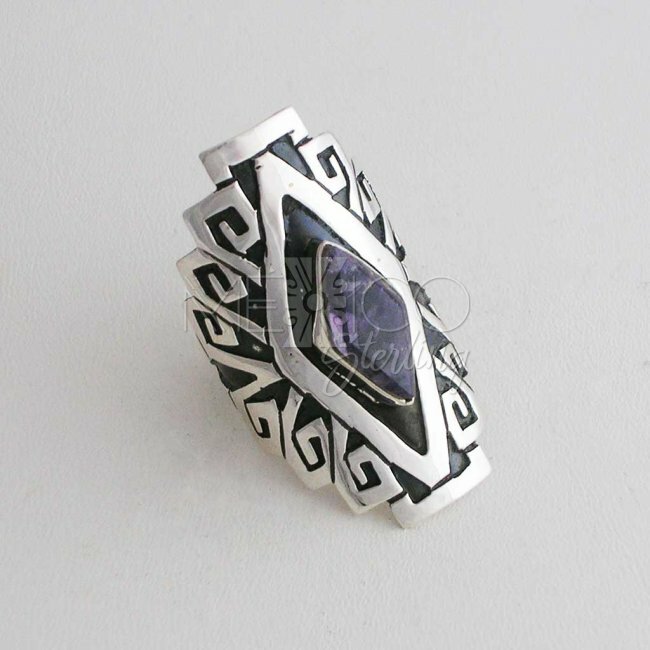 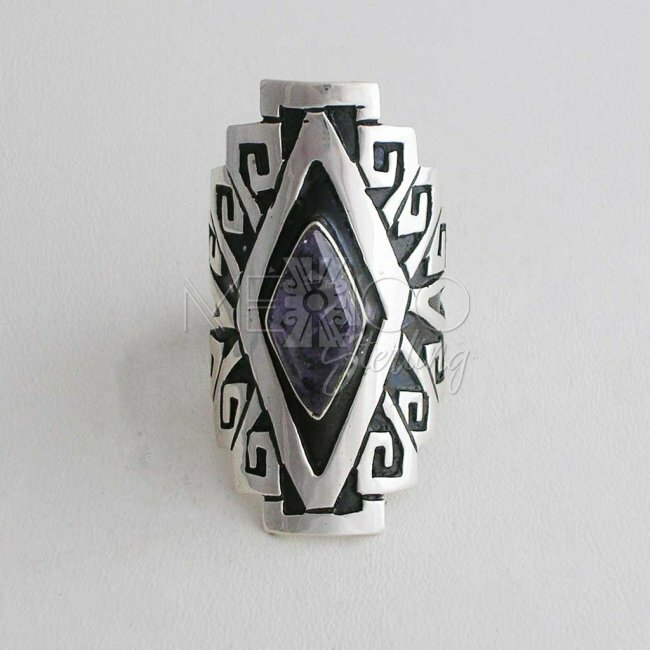 Mayan Wind Taxco Silver Ring [RNG3247] - $75.00 : Mexico Sterling Silver Jewelry, Proundly from Mexico to the world. 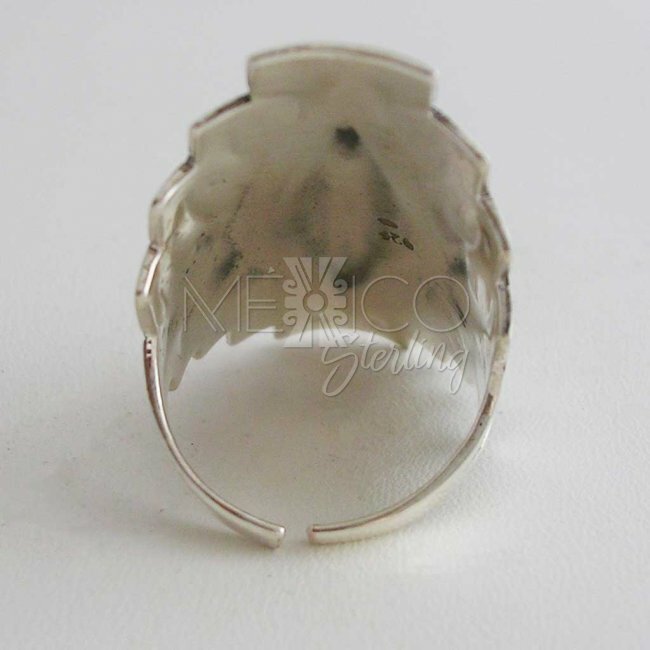 This is a classic Mexican silver work that takes us back in time, to the golden era of Mexican silver jewelry making. 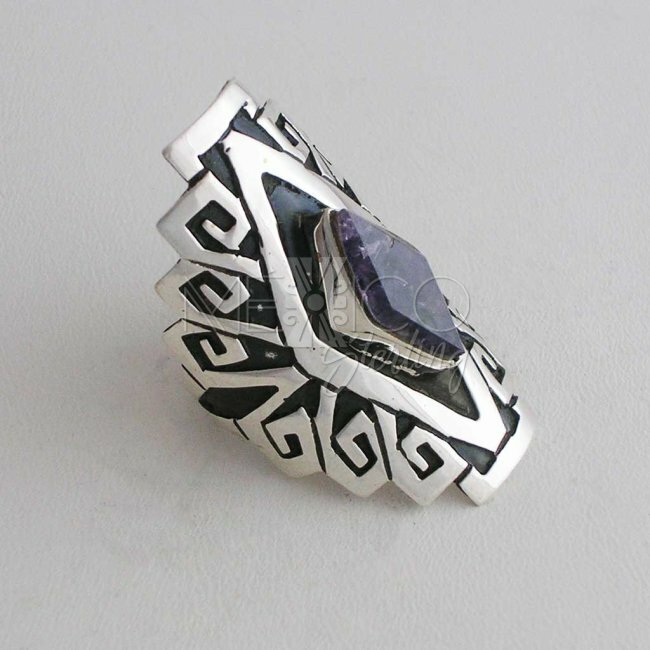 This beautiful silver ring carries all the features from the old Taxco era. 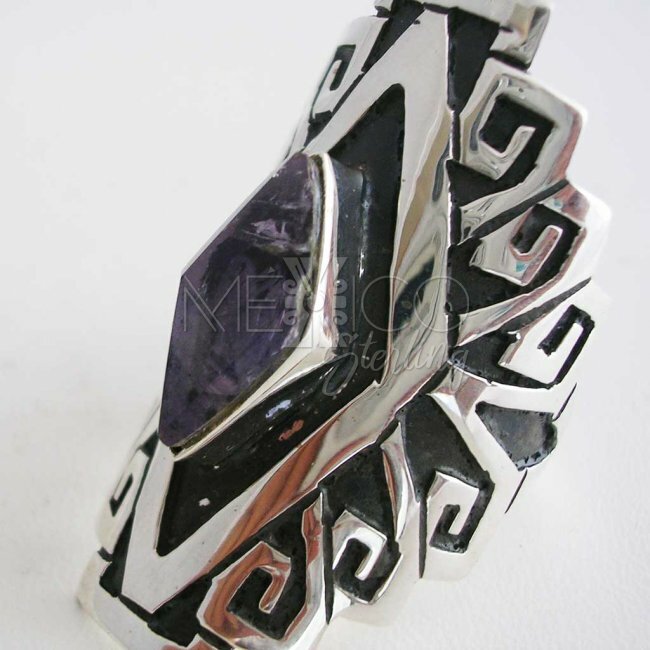 It is a perfect addition for any Taxco silver jewelry collector out there. 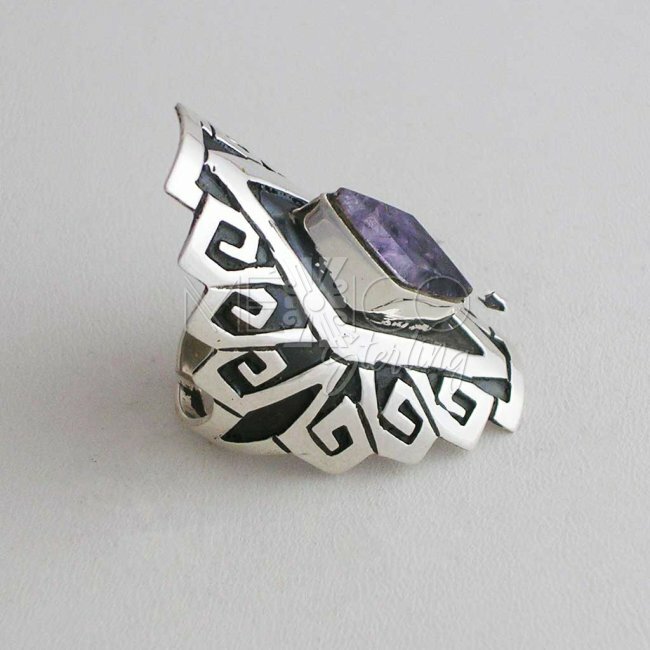 This ring also carries a central natural amethyst stone and it is adjustable from a size 6 up to size 12. 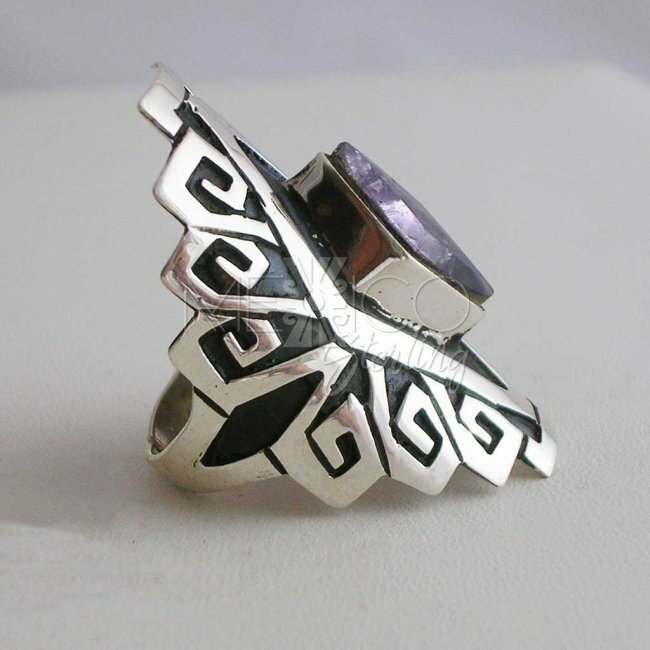 Please take a minute to see the additional photos, for more details on this silver ring.